← On this Friday,things I want…. 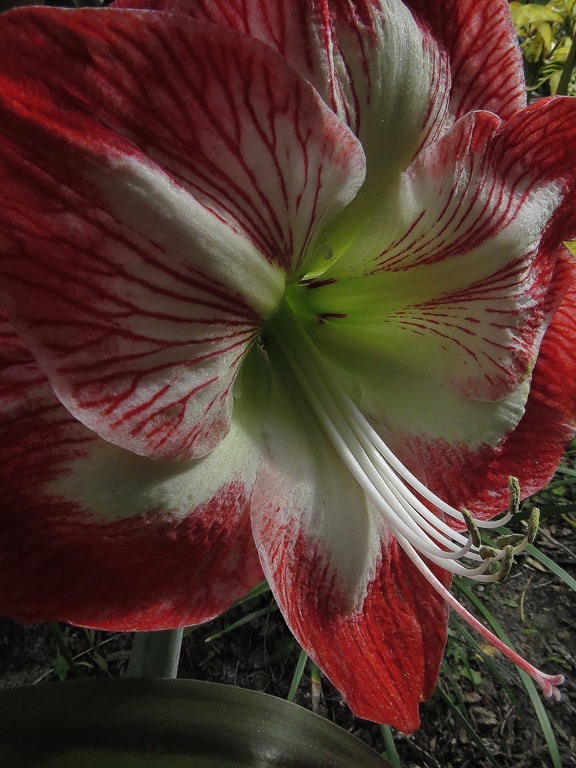 I always start out with the best of intentions.I receive a plant as a gift,and I always swear upon the gardening gods that I’m gonna take care of it.But I have to fess up-I’m not too good at that…. Did I? Nope.They were left just as they were received.In that area of the garden we all have.The one where forgotten plants go to exist.We all have that area of our garden.Where we put those plants that aren’t doing well,or the ones we don’t know what to do with…You know you have one,too. 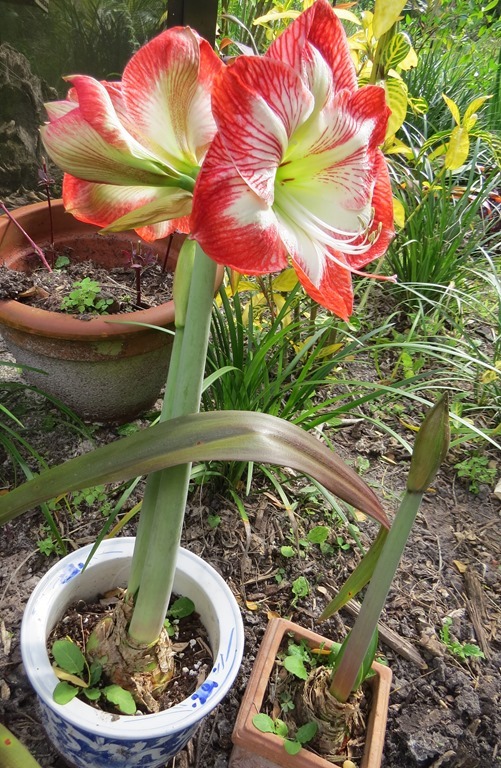 Then,today,Meems at Hoe and Shovel,posted on FaceBook,how her forgotten Amaryllis were finally blooming. Guess I need to get them in the ground……………. 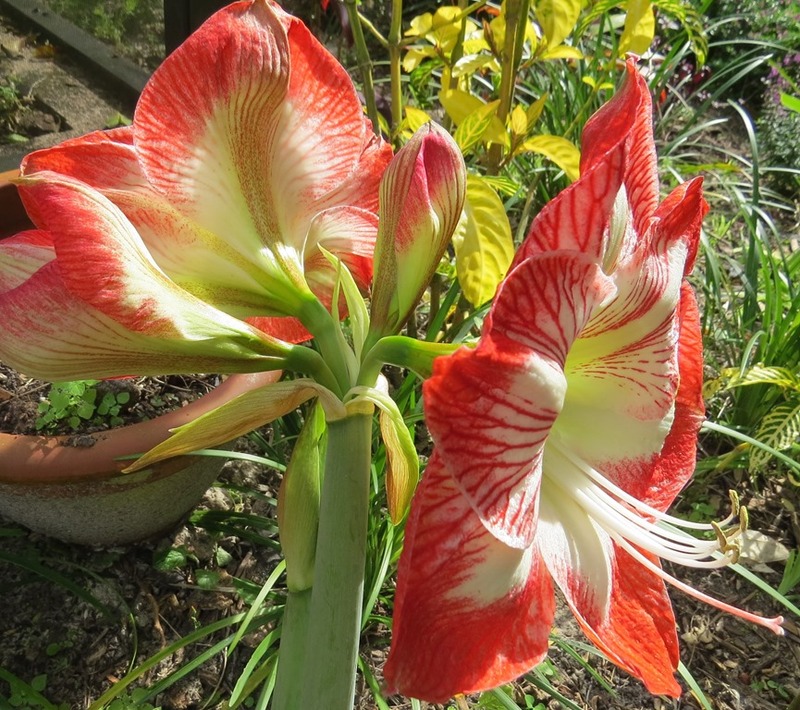 This entry was posted in gardening and tagged Amaryllis, gardening. Bookmark the permalink. Those are beautiful! Don’t you just love it when you have those wonderful surprises? Lorraine-they were a great surprise,I feel guilty because I didn’t take care of them the way I should have.I’m gonna work on that. They are beautiful Chris! I love the color! I’ve done that many a time, too, with some of my plants. 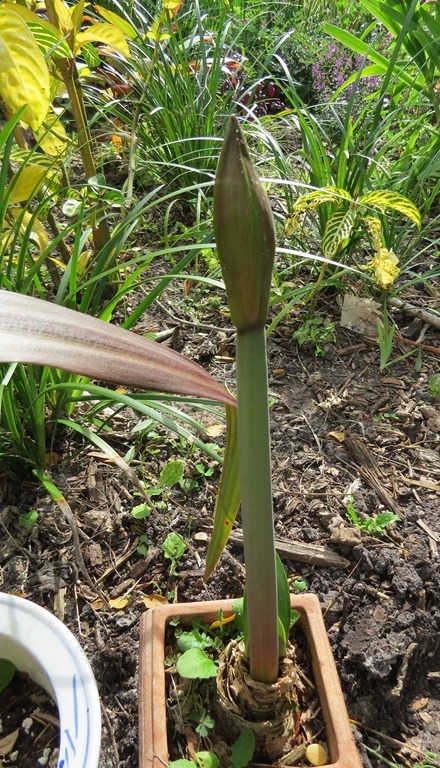 I’ve even thrown house plants out that had died only to have them come back after a northern winter. Love those kinda surprises.